Each Australia Day I look forward to celebrating the people who make Boroondara such a great place to live. It’s also a special time to reflect on what it means to be Australian, as we extend a warm welcome to those becoming Australian citizens today. One of the things I love most about our City is our strong sense of community, and this morning I was proud to honour some of our most outstanding citizens at the Boroondara Citizen of the Year Awards, held as part of the Boroondara Australia Day citizenship ceremony. 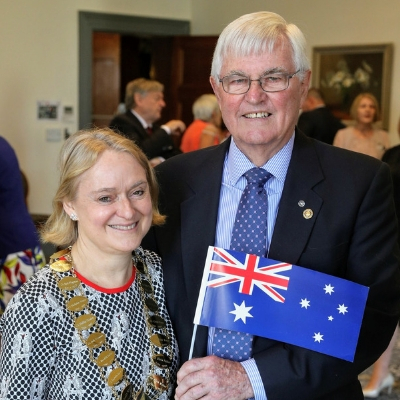 Our Citizen of the Year, long-time Rotarian John Hudson, has been involved in community life for decades, volunteering his time and expertise to enrich the lives of others. He is the driving force behind the Boroondara Farmers Market, Glenferrie Rotary’s biggest fundraiser, devoting over 30 hours a month to ensure its success and, in turn, raising the money needed to fund important projects that benefit those in need. Our very deserving Young Citizen of the Year for 2019 is Rohan Hodges. A passionate environmentalist and natural leader, Rohan is a fine role model for his peers. At just 16 years of age, he has made a big impact through a number of philanthropic ventures, using his energy, creativity and enthusiasm to help make the world a better place. Anne-Maree Polimeni also received a special commendation for her advocacy to raise awareness of stillbirth and to combat the social isolation felt by many grieving parents. While acknowledging these remarkable individuals, I was delighted to celebrate with 146 new Australian citizens at the citizenship event, as people from 35 different countries were presented with a Certificate of Australian Citizenship, after pledging their allegiance to Australia and its laws. 2019 marks 70 years since Australian citizenship was introduced as law. 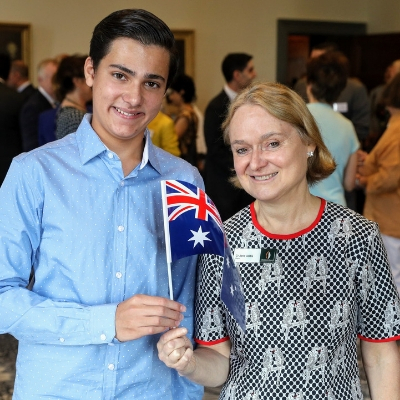 Since this time, both the City of Boroondara and Australia have benefited socially, economically and culturally from welcoming new citizens from all corners of the globe. I would like to congratulate our newest community members for making a commitment to Australia and to thank them for enriching all of our lives by choosing to make Boroondara their home.